If you’re looking to buy a London Fog purse, be aware that this is a small and discerning club. In fact, it has been women’s best-kept secret for a long time. Why? Two simple reasons: London Fog’s purses are incredibly stylish, but don’t have an eye-watering price tag to match. Who wouldn’t like that? Each of their purses is pleasing to the eye and look similar to purses that are much more expensive (think Hermes, Celine, and Dior). The brand clearly keeps their eye on what the luxury designers are putting out each season. What’s nice about buying London Fog purses, is knowing I’ll be part of a select few women that carry their purses. 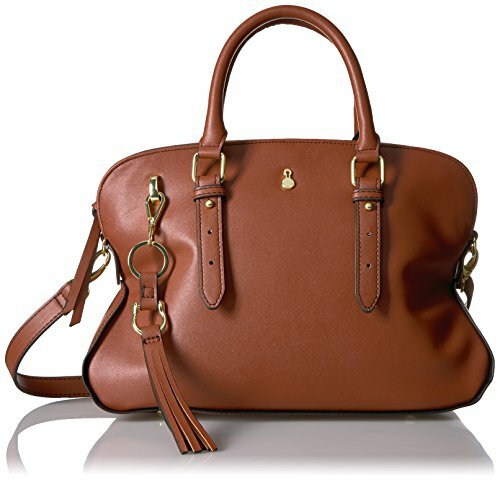 In a sea of women buying purses made by famous designers, I want to set myself apart and have something unique and beautiful. The styles are classic, timeless, but refreshingly modern. The price tag is the cherry on top. There are so many purses to choose from, but if I had to choose a favorite, this would surely be it. If you’d like to know more about it, keep reading for my complete review of this glorious purse. Imagine a Celine purse combined with a 3.1 Phillip Lim purse and you’re not far off from the London Fog Kensington Satchel. It’s bold, yet very pretty and classic. It’s the kind of bag that looks good year-round and remains timeless. The London Fog satchel handbag is a perfect medium/large size and can hold a ton, without being too big. The bottom is wide and tapers as it reaches the top of the purse. It’s a lovely triangular shape from the side. The materials feel lovely and durable. The details are pretty and make the purse look expensive. For example, there are short straps with gold hardware that emerge from the base. Also, the top handles are attached with gold metallic loops. As a sweet bonus, it comes with a gold metal keychain tag that is engraved with the London Fog name. Expandable storage – undo the silver-toned snaps and the purse gets even wider. Beautiful Saffiano-style textured surface – The special diagonal pattern is durable and easier to clean compared to other finishes. Features a Free accent scarf, similar to the famous Twilly scarves used on Hermes purses. 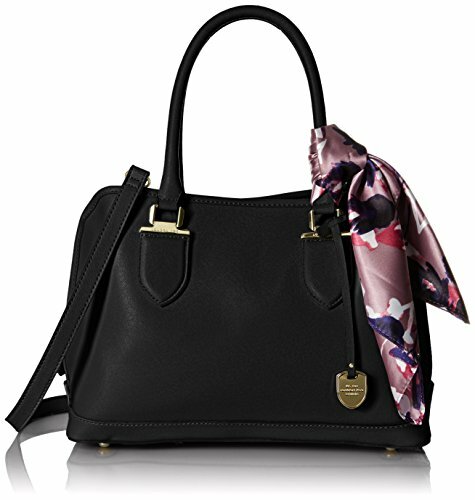 The London Fog Wembley Tote is another example of a classic style done beautifully. It’s the perfect bag to wear to work and will carry your organizer, books, notepads, and so much more. The shape of this London Fog Tote Handbag is rectangular with nicely rounded edges. The sides are gently cinched at the top with snaps, creating a flattering side profile. If you undo the snaps, the purse gets even wider. It’s so easy to find what I’m looking for when I undo the snaps. When you place the bag on a hard surface, you won’t have to worry about it getting scratched. The purse has four metal feet at the base, which keep it from touching the bottom. The purse sits up nicely, while also staying scratch-free. This is a classic tote, so there are minimal pockets inside to keep the design simple. In the center is a floating envelope pocket with a snap closure. The exterior features a slip pocket that’s perfect for your smartphone or keys. Full of stylish details, the London Fog Hayle Hobo purse is the perfect way to add casual elegance to your outfit. It reminds me so much of the French label Isabel Marant and their understated feminine styles. The simplicity of the purse’s design is supported by a range of details that elevate the purse’s style. 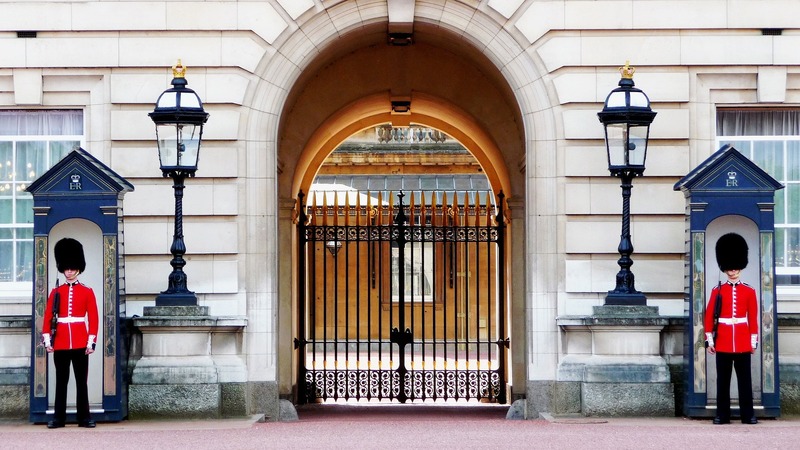 Gold-tone hardware is used throughout and looks very chic. The addition of the tassels adds playfulness and sophistication. It’s nice that you have two options to carry the bag. You can either carry it using the slim shoulder strap, or by using the top handle. Either way, both feel comfortable for a purse this size. The slim design hugs your body when worn. The interior is fully lined and has one zippered pocket and four multi-purpose pockets. The flap design means your belongings stay secure. Although you can zip the purse completely closed to keep everything safe. This gorgeous purse is perfect if you love to keep everything organized. It has lots of pockets inside so your essentials stay secure. I always love purses with pockets because it makes it easy to find what I need. Do you like to pack your purse with everything but the kitchen sink? Aside from all the organizing pockets, this purse also expands. On each side of the purse is a silver snap. When you undo the snap, the purse expands. It’s pretty ingenious. The purse quality is beautiful. The surface is texturized in a “Saffiano” style, which means it has a tiny criss-cross texture all over. Saffiano-style purses tend to be more durable because of this pretty texture. The silver-toned hardware is very polished and makes the purse look expensive. This pretty purse also comes with a free printed scarf, which is reminiscent of a lot of luxury purses. Hermes has been doing it for years because it adds a bit of sophistication. If that’s not your thing, you can easily remove it and use a pretty keychain charm like this one. This is surely one of the most “designer” bags in London Fog’s collection. There’s nothing ordinary or boring about it. With a beautiful and elegant slouchy shape, multiple straps and tassels, this purse has it all going on. The size is a perfect medium/large shape that can hold a lot without breaking your back. It is a beautiful proportion and is a purse that gets noticed when you walk in a room. Inside are a combination of zippered and slip pockets to hold your special items. The outside feels very soft and sumptuous. At the same time, the durable finish will hold up to scratches and heavy everyday use. The details are so lovely and the design has been carefully considered. For instance, the side profile has a very unique shape. It is cinched in the middle, which creates an elegant slouch to the overall shape. The carrying handles have pretty notched straps with gold-toned buttons. The purse features a built-in gold loop, which has a chic tasseled keychain attached to it. Lastly, the purse features a mock gold-toned keyhole that is engraved with the London Fog name. What an absolute beauty of a purse! Spacious and fully lined interior with a bold print. Inside has a mixture of zippered, pen, and slip pockets – 5 in total. While outside has two slip pockets and one zippered pocket – all perfect for carrying your smartphone. This elegant and exotic purse is for the serious fashion lover. It’s the kind of purse that makes a statement, but does so in a sophisticated way. Think Grace Kelly or Reese Witherspoon. 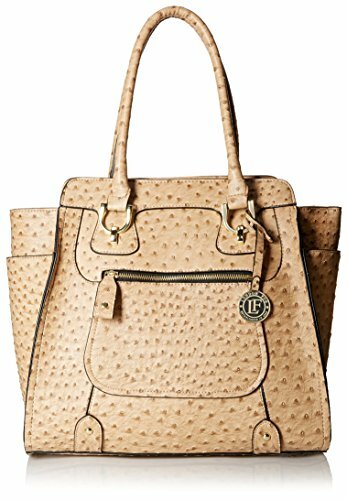 The Knightsbridge Tote from London Fog is similar to the Kensington Satchel, except it has even more sophistication and detail. The finish on this purse is a mock-ostrich texture and is something you’d expect on a luxury purse. If you’ve ever wanted a London Fog ostrich handbag, this is it. The subtle sand color makes this a perfect neutral purse to add to your wardrobe. The inside is lined in a sophisticated black and white satin fabric. It’s a lovely surprise to see when you open the purse. The inside is very spacious and you can easily fit a large wallet, books, planner, water bottle, snacks (I’m always hungry), and much more. You can easily close the purse with the concealed magnetic snaps. The silver-toned hardware is featured throughout the pretty purse. A monogrammed London Fog keychain is included with the purse and is a nice touch. The London Fog Carlisle Dome is a sleek and polished purse that’s perfect for work and everyday use. It’s the kind of purse that will make you feel confident and feminine. While the structured shape gives it a professional edge. Out of all the London Fog purses I’ve included in my guide, this one is definitely the most ladylike and classic. It has a vintage style but with a modern edge. 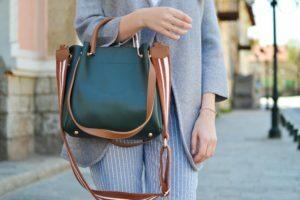 In the same way a little black dress is dependable and classic, this purse will be the hardest working part of your wardrobe. It’s always good to have a classic black purse that you can rely on for style and grace. The two main compartments are very spacious and are lined in a pretty fabric. As a surprise feature, it has a hidden zippered compartment in the center. It’s perfect for things you want to keep extra safe or that you want to keep separately. It would be perfect for a small sewing kit, makeup bag, medications, or even snacks (I love my snacks!). With a collection of purses to rival the styles of designer brands, London Fog continues to create beautiful purses any woman would desire. But instead of paying an arm and a leg for luxury brands, London Fog offers similar styles at a price you can afford. Whether you want a purse that’s prim and proper, fashion-forward, luxurious, or classic, they seem to have it all. I hope my guide has either introduced you to this great brand or given you great shopping ideas if you’re already a fan. So, have you ever bought a London Fog purse? What about their popular luggage?